I’ve expressed several times over that I’m no fan of ‘freemium’ apps aimed at children and for obvious reasons. It is so frustrating to download a seemingly free app only to find out that a vast majority of the features need to be unlocked with in-app purchases. Yet big, trusted brands continue to use the ol’ bait-and-switch method of padding profit margins by exploiting the brand that people of come to trust over the years. And yes, I’m talking to YOU, Crayola. One of my most vivid childhood memories is watching a clip on Sesame Street about the inner workings of a Crayola crayon factory. (Incidentally this clip is still shown on the show, I saw it just last week.) I even refer to all crayons as Crayolas, and it’s the only brand I buy for my kids when it comes to restocking their arts & crafts supplies. Trust me – they get plenty of my money already. 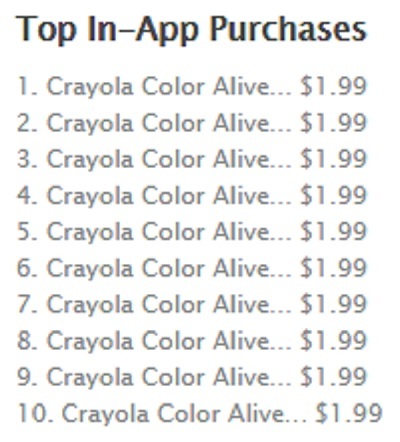 I was excited to get an email about Crayola’s recent app release, Color Alive. On paper the concept seemed very innovative and interactive – just color a page printed from the app and scan with the iPad to create a 4D image within the app. 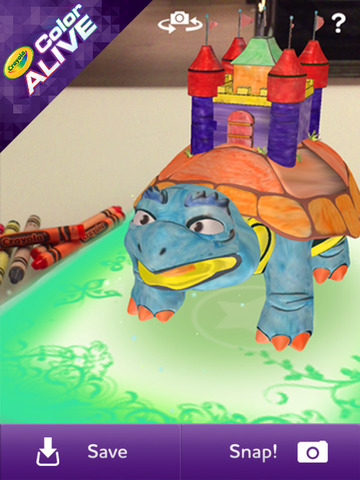 The actual description: “Characters fly out of your coloring pages, coming to life and interacting with you through augmented reality.” A free app. That makes things fly. With AUGMENTED reality? Sign us up. That’s when I closed the app and deleted it from the iPad. I didn’t even tell my kids that it was there or let them watch me play. 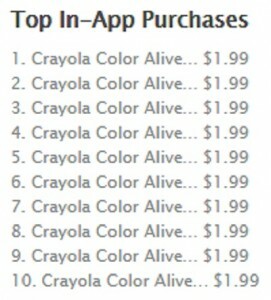 Listen: I understand it must be difficult to try and boost crayon sales by peddling IAPs through free apps. I’m sure Crayola has seen a dip in sales since the advent of the iPad and they’re just tweaking their marketing strategy to appeal to a digital generation. But using brand cache to siphon out cash through our iPads is not something I can get behind. 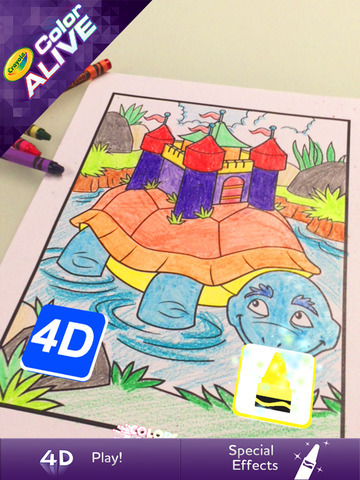 I’ll still be buying art supplies in the signature yellow box, but I won’t consider downloading another Crayola app in the near future. Not cool, guys.